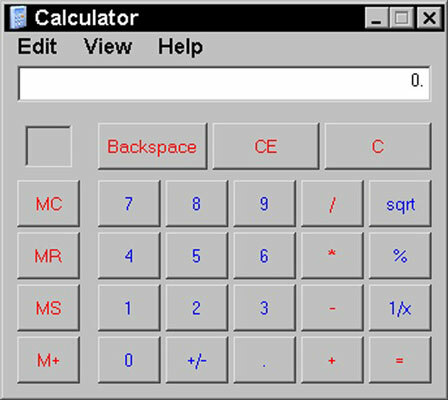 You can use the calculator in Windows XP to calculate anything you would on a regular calculator. You can add, subtract, divide, multiply, and even perform more complicated calculations using the calculator in Windows XP. Just follow these steps to quickly access, open, and use the Windows calculator. You can enter numbers and symbols in a few different ways in the calculator. Type numbers and symbols on your keyboard, and they appear in the entry box of the calculator. Press Enter to perform the calculation. 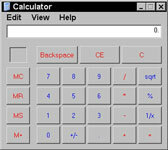 Click numbers or symbols on the calculator display and click the = button to perform the calculation. 2Use one of two options when you're done with the calculator. When you don’t need the calculator anymore you can either click the Minimize button to shrink the window in case you need the calculator later, or you can click the Close button to completely close the window.